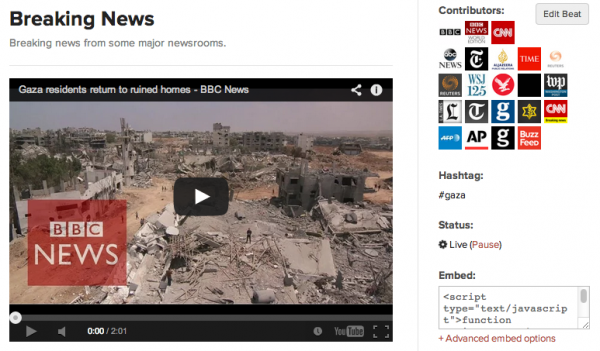 Camayak Blog | What’s The Best Twitter App For Journalists & Editors? What’s The Best Twitter App For Journalists & Editors? It’s easy to create a Twitter widget that lets you embed feeds on your website. But what about picking specific Twitter accounts and filtering their tweets by a #hashtag, so you have more editorial control over the topics and contributors that you’re broadcasting? Lately, we’ve been using BeatStrap a lot to stream tweets from news sources on specific topics and share those beats with publishers that may want to embed them on their sites, too. The basic BeatStrap account is free and lets anyone share your beats with their readers. We helped build BeatStrap and would love to you hear about how you’re using it.